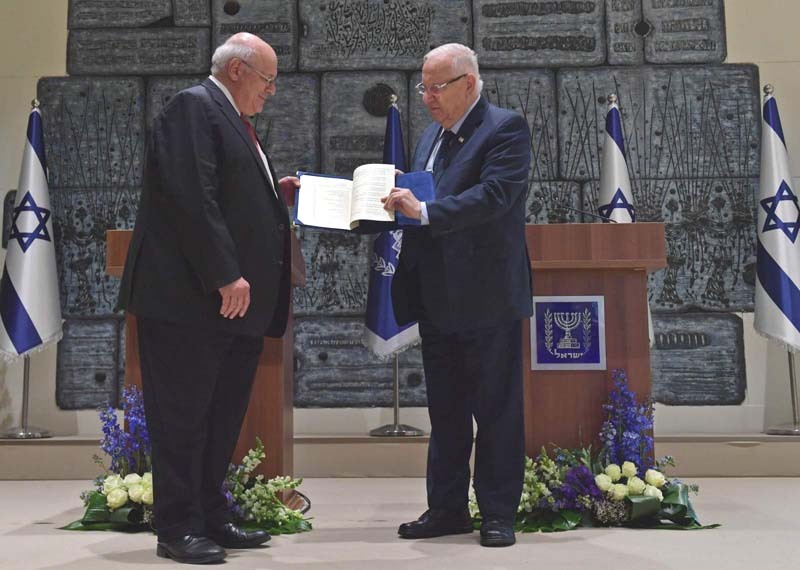 Avi Dichter MK first tabled a nation-state law in Knesset in 2011, it was co-sponsored by 40 MKs, including two thirds of the Kadima Party led by Tzipi Livni and several members of the Labor Party. Such inflammatory rhetoric is doubly duplicitous. It’s false because the current legislation is unremarkable compared to many European constitutions with even stronger national homeland provisions, and it is considerably softer than Dichter’s original version (especially with regard to Arab rights in Israel). The wild rhetoric against the bill is also deceitful because left-wing peace activists are constantly grousing about Israel’s existential need to remain a Jewish state when justifying the call for Israeli withdrawal from Judea and Samaria. In fact, “preserving Israel’s Jewish-ness” is so important to the withdrawal chorus that its leaders are willing to pay a very high price for this, including the surrendering of historical and religious sites and the expelling of 100,000 or more Jewish settlers from Judea and Samaria. So insincerity underlies opposition to the bill: To profess loyalty to Israel as a Jewish nation-state when it comes to pressuring Israel into diplomatic concessions, but to balk at supporting a nation-state law that defines the State of Israel as such! BECAUSE THERE are heaps of hypocritical and hysterical bombast being hurled at the government’s plans to constitutionalize Israel’s status as the Jewish nation-state, it is important to remind ourselves why this law is necessary. The Jewish People’s right to live in its homeland like other nations should be obvious and self-evident. But today the State of Israel’s identification with Jewish nationhood is under attack from large parts of the international community, and from Israeli Arabs, Palestinians, post-Zionist Jews, and anti-Jewish Jews. Therefore, Jewish self-determination in the Land of Israel and the Jewish character of Israel need to be enshrined in constitutional form – in a Basic Law. The Jewish side of the formulation “a Jewish and democratic state” has been under internal assault as well. The delicate balance between Israel’s Jewish and democratic characters has been particularly upset over the past 25 years by the Israeli Supreme Court, beginning with the tenure of Chief Justice Aharon Barak. Barak and his ultra-liberal successors have transformed Israeli jurisprudence. They have dramatically diluted the Jewish dimension of the Jewish-and-democratic equilibrium. The Court has turned the “Basic Law: Human Dignity and Freedom” into a central pillar of jurisprudence, despite the fact that the law passed almost surreptitiously as a private members bill in 1992, in the middle of the night, by an underwhelming minority vote: 32 for, 21 against. 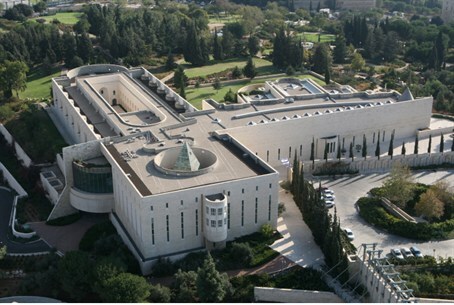 The Court has imperiously used this law to rule with a liberal fist on a broad range of critical issues, such as allocation of JNF land, Palestinian residency rights in Israel, rights of foreign converts to citizenship, Haredi draft deferments and stipends to yeshiva students, commerce on Shabbat, deportation of illegal migrants, and more. In principle, these cases called for a delicate balancing act between Israel’s democratic-liberal character and its Jewish-national character. But in fact no such balance was achieved, because Israel’s Jewish character, unlike its democratic character, is not anchored in any Basic Law, and thus the liberal Court could willfully, easily and explicitly discount the “Jewish” pull in these cases. The proposed “Basic Law: Israel as the Nation-State of the Jewish People” is intended to redress this asymmetry and to encourage a more sophisticated legal discourse when tensions arise between universal and national/Jewish considerations. Earlier drafts of the law specifically referenced recourse to Mishpat Ivri as a source for court rulings when there are no other relevant precedents (paragraph 11: “the principles of freedom, justice, integrity and peace that are anchored in Jewish tradition” through the corpus of Jewish law in the Talmud), but alas, this paragraph may be dropped in final version. Of course, what will make a difference in the long run is less the raw language of law and more the worldviews of those who are interpreting the law. That’s why Justice Minister Ayelet Shaked’s drive to balance the bench with conservative judges is so important. But the judges will need constitutional anchors for any attempt to steer the legal ship of state back to appropriate balance – hence the Jewish nation-state bill. Two examples will suffice. The government has sought to stem the tide of Palestinians from the territories engaging in bogus marriages to Israeli Arab citizens in order to obtain Israeli citizenship rights. The Supreme Court upheld the Palestinian right to marriage as a matter of “human dignity” and rejected the government’s claim to a right to protect Israel demographically as the nation-state of the Jewish People – because there is no constitutional anchor for this. (The Court entertained only “security” arguments against the fake marriages). Consider, as well, the controversy over paragraph 7b of the law, which would allow members of one religion or nationality to maintain separate communal settlements – say a town for vegans or for Haredim only. This is basic libertarianism, not discrimination. Well, the Supreme Court already has sanctioned this for Bedouins and Arabs because they are considered “distinct” communities by the Court, but it hasn’t done so for Israeli Jews. The Court doesn’t necessarily consider it kosher for, say, Religious Zionist Jews to operate an “acceptance committee” to maintain a distinct homogenous community. Here too, the Jewish nation-state law would redress an imbalance in the Court’s approach, and allow the State of Israel to at least consider “distinct” Jewish towns and neighborhoods as legitimate, in certain circumstances. For all these reasons, the Jewish nation-state law is upright, reasonable and required. It should be passed by the Knesset on Monday. Next articleWhere are they Going to Go?